Muhammad Al-Luhaidan (Muhammad Ibn Abdullah Ibn Ibrahim Ibn Muhammad Al-Luhaidan) is a Judge, Quran reciter and an Imam in Saudi Arabia. Alhamdulillah we’re on the road to Ramadan! 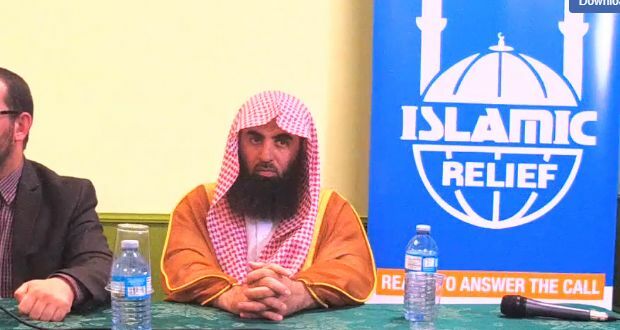 Islamic Relief is pleased to welcome, for the first time in Canada, renowned Qari Sheikh Dr. Mohammed Ibrahim Al-Luhaidan. 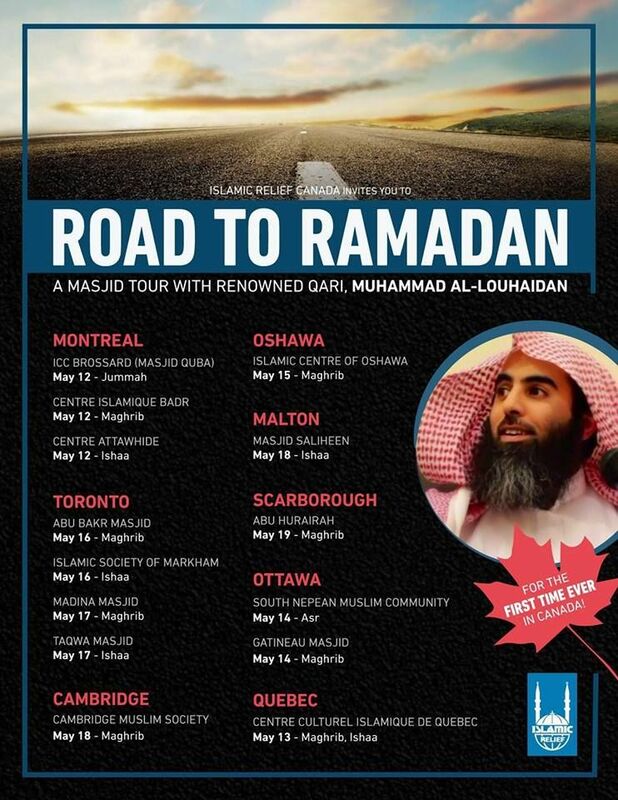 Join us on a spiritual journey across Quebec and Ontario at your local masjid — as we welcome the month of Ramadan, come out and listen to a melodic recitation of the Holy Quran that will inspire your heart. O Allah, make this month a conquest for the mujahideen everywhere around the world, O Lord of the worlds.